During the hectic middle decades of the 20th century, from the end of the Great Depression through the Second World War and into the 1950s, a small circle of intellectuals gathered weekly in and around the University of Oxford to drink, smoke, quip, cavil, read aloud their works in progress, and endure or enjoy with as much grace as they could muster the sometimes blistering critiques that followed. This erudite club included writers and painters, philologists and physicians, historians and theologians, soldiers and actors. 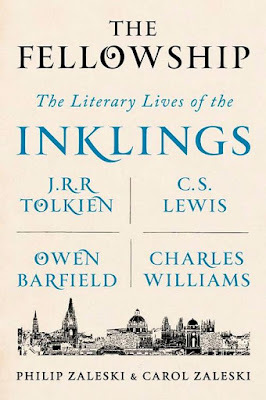 They called themselves, with typical self-effacing humor, the Inklings. .... The Inklings were, one and all, guilty of the heresy of the Happy Ending. A story that ends happily is, some believe, necessarily a sop to wishful thinking, a refusal to grow up. In "On Fairy-Stories" — the closest we come to a manifesto for the Inklings’ aesthetic — Tolkien turns this charge on its head, arguing that our deepest wishes, revealed by fairy stories and reawakened whenever we permit ourselves to enter with "literary belief" into a secondary world, are not compensatory fantasies but glimpses of an absolute reality. When Sam Gamgee cries out, "O great glory and splendour! And all my wishes have come true!" we are not in the realm of escapism, but of the Gospel, in all its strangeness and beauty. 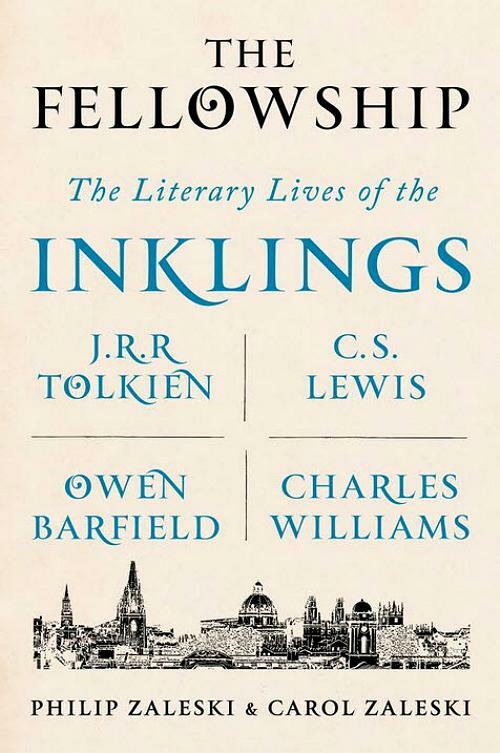 The Fellowship: The Literary Lives of the Inklings: J.R.R. 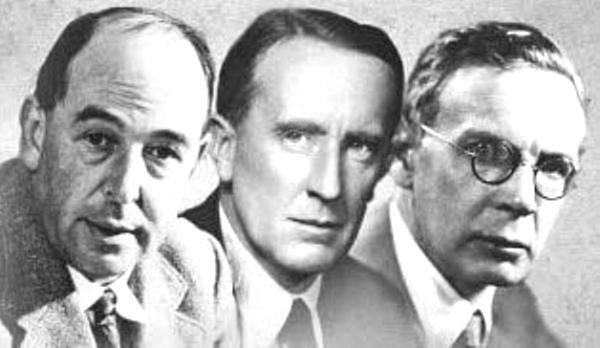 Tolkien, C. S. Lewis, Owen Barfield, Charles Williams available for pre-order at Amazon.